Equipment is provided. Participants must be competent swimmers, or wear a PFD when on the water. Prices listed include all taxes and compulsory RowOntario and Rowing Canada association fees. REFUND POLICY: A $60 non-refundable fee applies to all programs. 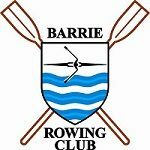 Click here to learn more about The Barrie Rowing Club.